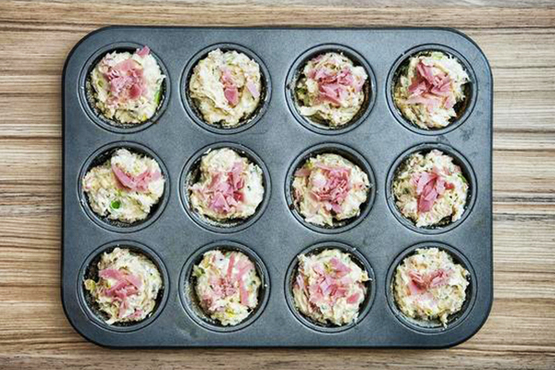 Ham and Vegetable MuffinsA delicious morsel of goodness for the lunch box. Once you have made the muffins, allow them to cool totally to room temperature. Individually wrap the muffins in plastic wrap and pop in the freezer. These will be good frozen for up to a month! If you are trying to make these muffins even more nourishing, substitute the flour for wholemeal or wholegrain flour. Add 1/2 cup of Chia Seeds to the mix – these add a delicious crunch and are full of fibre. In a large bowl mix together, flour, vegetables, cheese and ham together. Add milk, eggs and butter to the dry ingredients and mix well. Divide into 12-14 muffin cases (or 24 mini muffin cases). Bake at 160 degrees for approx 30 minutes. Check with a skewer to make sure the center is cooked, keeping in mind that the cheese will be melted & may end up on the skewer and ENJOY! 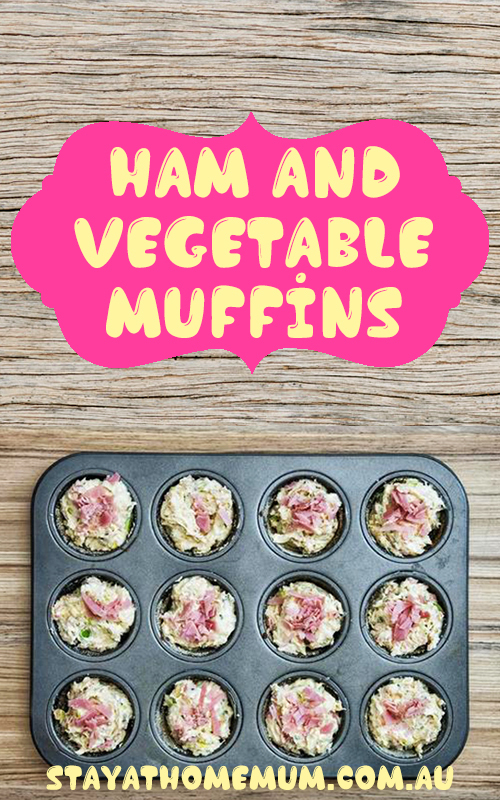 Ham and Vegetable Muffins freeze really well. Allow to cool to room temperature and wrap in plastic wrap and freeze for up to two months. You can also make them with peas/corn instead of carrot/zucchini (or really any other veggie).